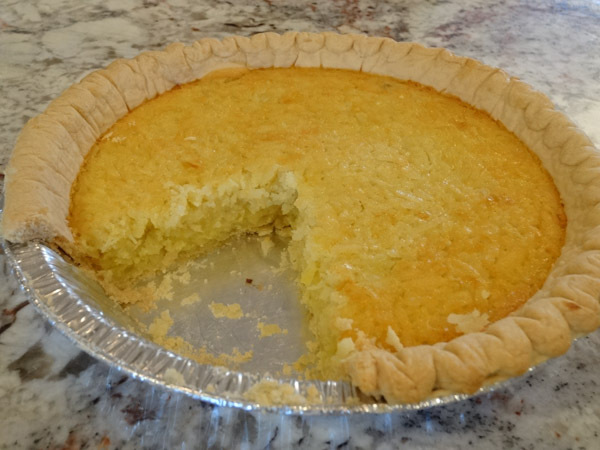 A creamy, coconut filling is baked into a golden, flaky crust. 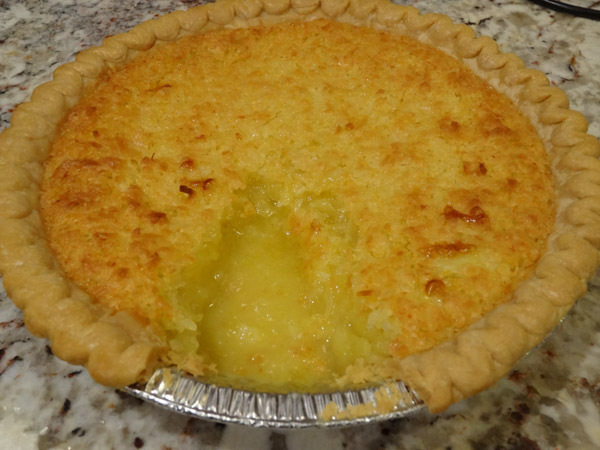 Just a few simple ingredients make up this delicious, homemade coconut custard pie. 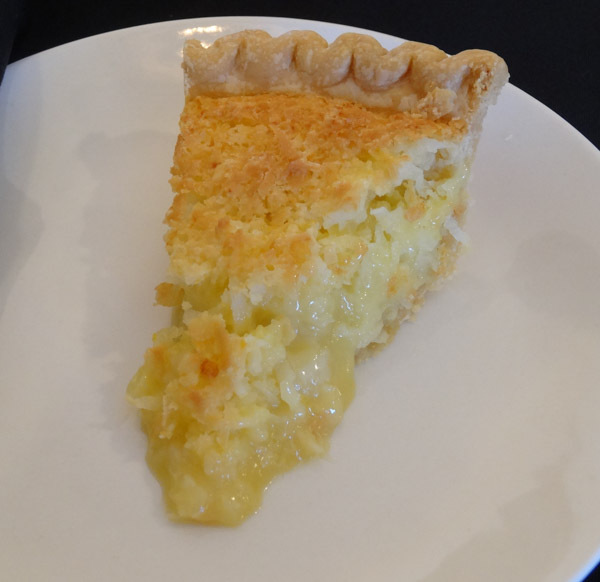 Eggs, butter, milk, sugar, and lots of coconut make up the filling for this great tasting Coconut Custard Pie. This recipe only takes a few minutes to throw together, especially if you use an unbaked pie shell. 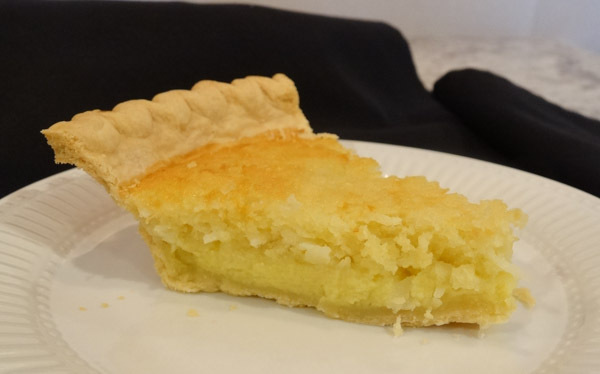 Do you know the difference between a Coconut Custard Pie and a Coconut Cream Pie? 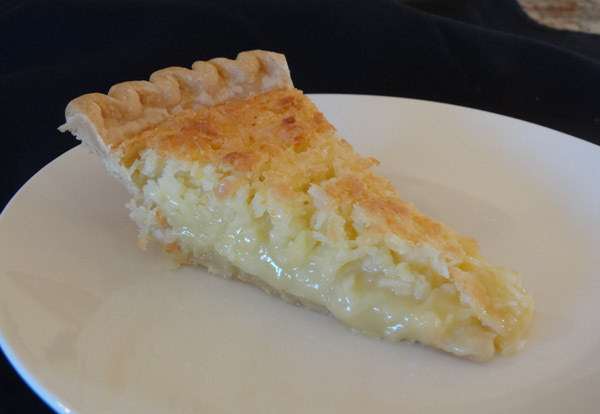 Although the pies are similar in taste, a custard pie, like this recipe, has a filling that is baked after it is poured into the pie crust. 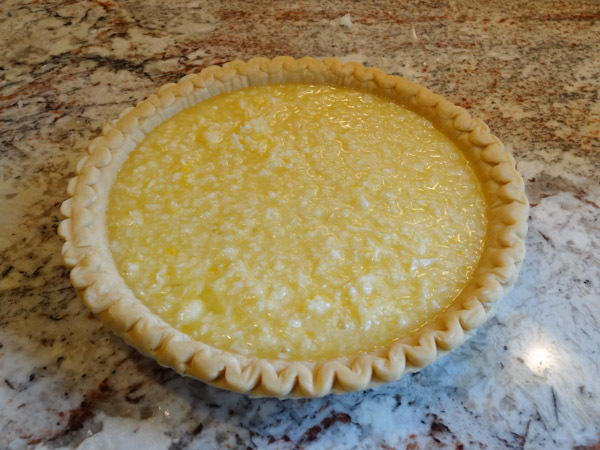 The filling for a cream pie is prepared on the stove top and then poured into an already baked crust. 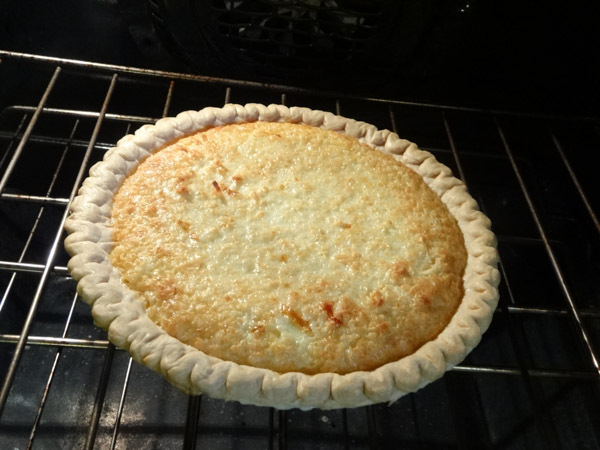 My grandmother called this recipe Coconut Macaroon Pie. Her recipe called for a cup and a half of sugar, which is a lot of sugar for this pie. I used a cup in this recipe and still thought it was way too sweet. I think a half cup to three-quarters of a cup of sugar for this recipe is more than ideal, especially when using sweetened coconut flakes. The Bisquick version called for 2 cups of milk in this recipe. 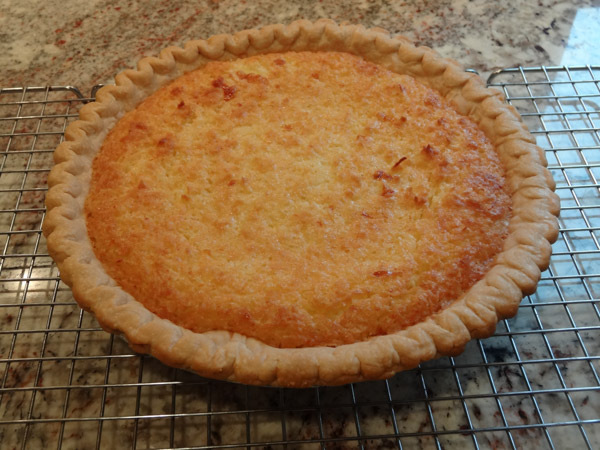 I use a nine-inch deep dish pie crust and I had more than a cup of ingredients spilling over. If I had added the entire recipe to the crust, it definitely would have overflowed while cooking. This recipe was okay, but I ended up with a soggy bottom crust. 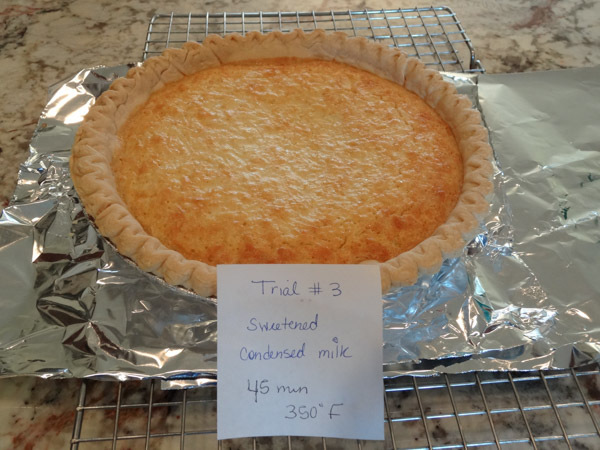 The sweetened condensed milk version has a little less volume in the recipe. I felt like I could taste more of the egg in the recipe versus custard in this recipe. I ended up making my grandmother’s version twice. The first trial had way too much sugar and was overly sweet as I mentioned earlier. The second was much better. I like this version as you have the chewiness of the coconut, but also the creaminess of the custard. Pour filling into a nine-inch unbaked pie shell (use deep dish). Once the pie is chilled and set, you can slice into it and it should look like this. 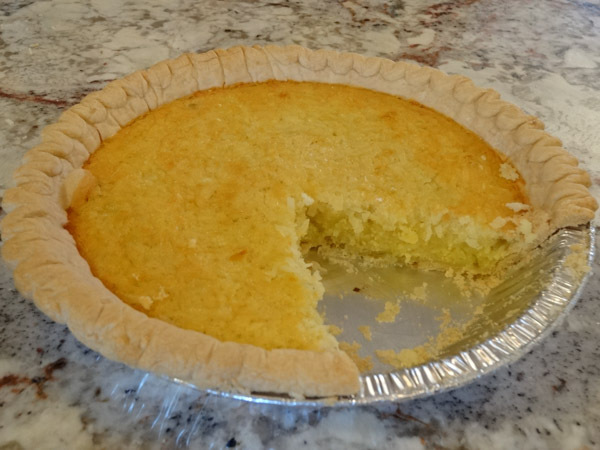 Butter, sugar, eggs, and lots of coconut make up this great tasting filling for Coconut Custard Pie. Simply pour the filling into an unbaked pie shell and bake. 2. 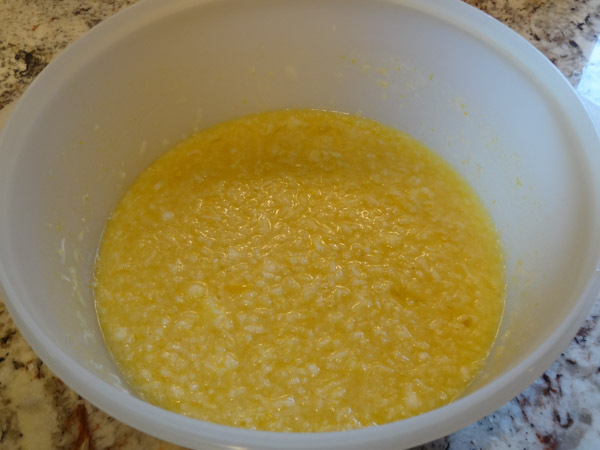 In large bowl, add melted butter, sugar, eggs, milk, and vanilla extract together. Stir until combined. Add in flour and salt. Stir until combined. 3. Add in coconut and stir until combined. Pour filling into unbaked 9-inch pie shell. 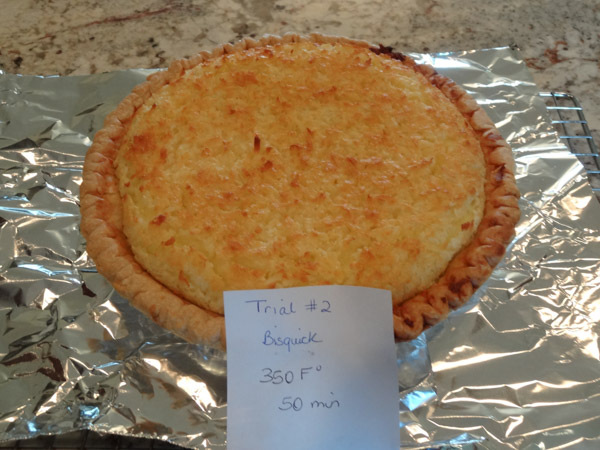 Bake at 350 degrees F for 45 to 50 minutes. Filling should be golden brown and set in center. 4. Cool pie on wire rack. Cover and chill in refrigerator for at least 2 – 3 hours.